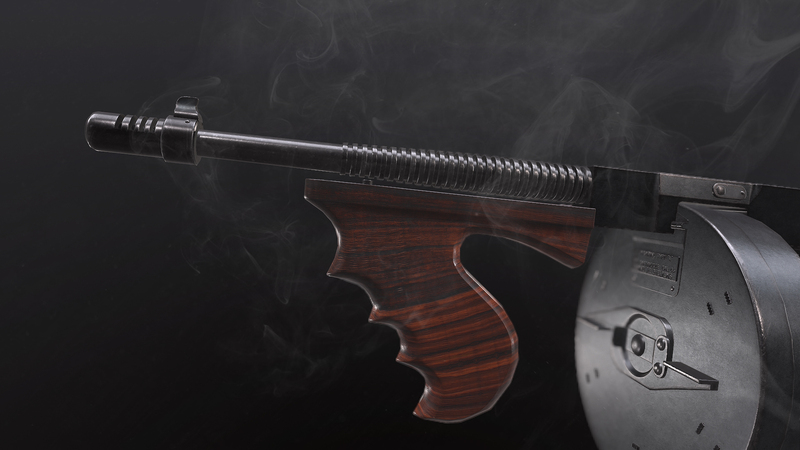 The Volstead is a first person shooter set in the United States prohibition era. It will feature competitive online multiplayer matches between two teams: law enforcement versus gangsters. The project is being developed using the Unreal Engine 4. The Volstead will feature casual deathmatch/team deathmatch modes with varied player count competing for the best score, and a focused competitive mode. The theme and visuals will be inspired by titles like L.A. Noire, Mafia 2, Grand Theft Auto and Counter-Strike for its gameplay. Also, we take heavy inspiration from movies as The Untouchables, Public Enemies and The Godfather series. August 23, 2018 - We created our game project page here at IndieDB today! We hope that you guys are as excited as we are to be a part of this project, by providing us feedback and suggestions along during this very long and difficult path ahead. We are a small team, but with a clear goal and scope. The Volstead will be a game set in the 20's and 30's prohibition era in the United States. We always felt that this era was very much overlooked and unexplored in the game industry, especially among first person shooters. We are big fans of the genre and the thematic, and we want to create a new competitive game that will be primary based in skill, teamwork and strategy. We find important to assure from the get-go that we will not develop nor promote features that will hinder the player and community experience based on lootbox systems and pay-to-win concepts. We are carefully crafting this game to create a real competitive environment. We don't, however, discard the idea of adding era-friendly cosmetics in the distant future. Although we have already made some good progress in the modeling and game design, it's fair to say that we are still in very incipient stages of development. As this project is being developed on our free time, updates might be sparse during certain times of the year, but we'll keep y'all updated as much as possible. Your interest of course will fuel our desire to make more content and progress, so make sure to leave a comment on our page here and other project related pages in the future! If you are interested in becoming a part of The Volstead team, we'll be putting out job postings as the project unfolds. We'll reveal more about the game as development progresses, but feel free to ask questions and keep checking our profile for more exciting content and news!